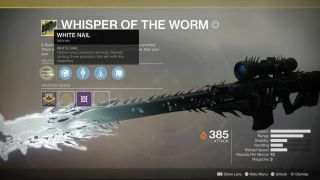 Some eight months ago, the best surprise in Destiny history was discovered deep in the guts of Io: a surprise mission to reclaim the famed Exotic sniper rifle Black Spindle, renamed Whisper of the Worm after its Taken transformation. It was flavorful, challenging, mysterious - and most importantly, it came out of absolutely nowhere. Destiny 2 players collectively lost their minds and dropped everything to chase Whisper, eager to be the first to fire it. However,we never really knew who nailed the world-first Whisper completion - until today, that is, as Bungie recently sent the first fireteam to claim Whisper a little care package celebrating their historic victory. 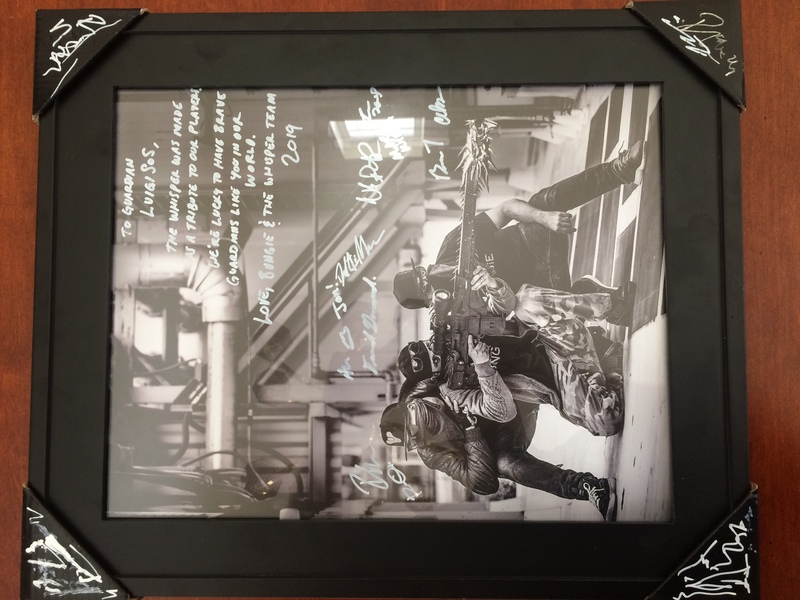 "The Whisper was made as a tribute to our players," the signed photo reads. "We're lucky to have brave Guardians like you in our world." Ashteranic's teammates LuigiSoS and Squid shared their own gifts on social media, and Reddit comments from Bungie community managers dmg04 and Cozmo23 confirm that they're legitimate. As it happens, Squid previously posted their world-first run on YouTube, and I suspect it will get plenty of views in the coming days. The Whisper mission sparked week-one-of-Pokemon Go levels of enthusiasm and remains one of Destiny 2's best activities, so it's nice to see Bungie honor its first legacy in such a personal way. Squid said it best on Twitter: "This is definitely part of the reason why I love Destiny and love Bungie." The mission to get the Whisper of the Worm Exotic sniper rifle is now available everyday, so if you still haven't gotten it, fire up our guide and dive on in.